File this post under “miscellany”! Avital’s debut at GreenStar has been a rocking success. Thank you, Ithaca, and thank you, GreenStar. I spent about 3 hours on October 13th showing GreenStar shoppers what a few beehives and some ingenuity can do for their skin. 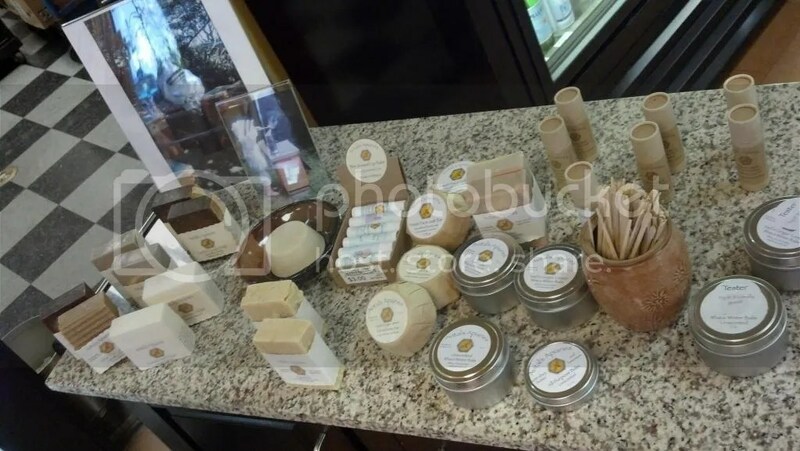 GreenStar shoppers really appreciate the minimal packaging, natural colorants and essential oils, and top-quality oils and butters that going into everything I make. In fact, they appreciated it so much, that we almost sold out of All-Purpose and Winter Balm that day! No fear–GreenStar has been restocked, and I’ll make sure that soaps and balms stay on the shelves. If they’re out of a favorite of yours, shoot me an email or let GreenStar know, and I’ll double time some over! Maybe the island’s honey does have some special properties. We know that New Zealand’s manuka honey (honey that bees make from the nectar of the manuka plant) has been shown to be an excellent wound dressing. Might this island’s unique honey have some salutary effects? Likely, their long lives result from a combination of good genetics, low-stress, herbal teas, a fresh, mostly vegetable diet high in olive oil and low in refined flours and sugars, and slow-paced communal living. Honey alone can’t work miracles, but it can sweeten life! If you’re Jewish, the holiday season is over: Rosh Hashanah (a big honey holiday!) and Yom Kippur through Sukkot and Simchat Torah is a month of feasting, fasting, contemplating, and celebrating. It can be draining and renewing all at once, as we think about the year past, and how we could have done better, and we celebrate life, family, and community. For much of the rest of the United States, the holiday season is just starting! I’ll keep the shelves stocked at the People’s Market of Lansing, Knitting, Etc. in the Triphammer Mall, the gift shop at Temple Beth-El in Ithaca, and, of course, GreenStar. And look for me at the Temple Beth-El Chanukah Fair on December 2. The fair is free and open to the public, with a fantastic book sale and wonderful assortment of local crafts people. If your holidays are ahead, it’s a chance to find unique, handmade items.